SMRT Partners With Grab To Enter The Private Hire Car Industry! 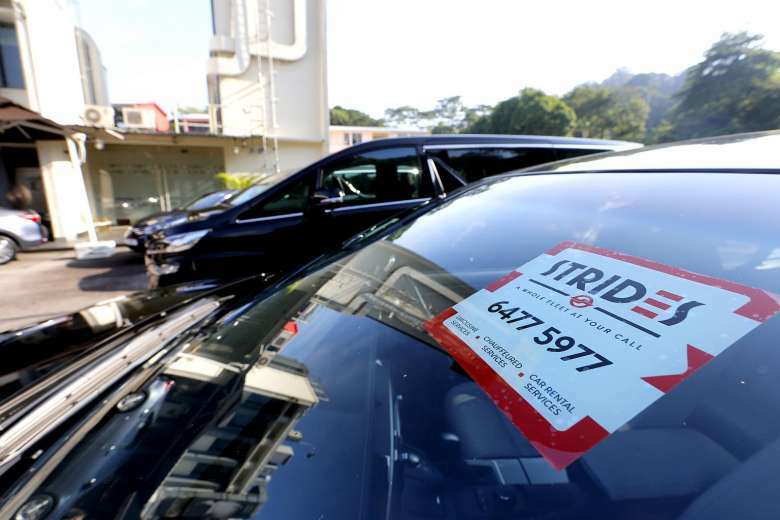 Hot on the heels of the government’s decision to regulate the private-hire car industry, SMRT has decided to foray into this business model. 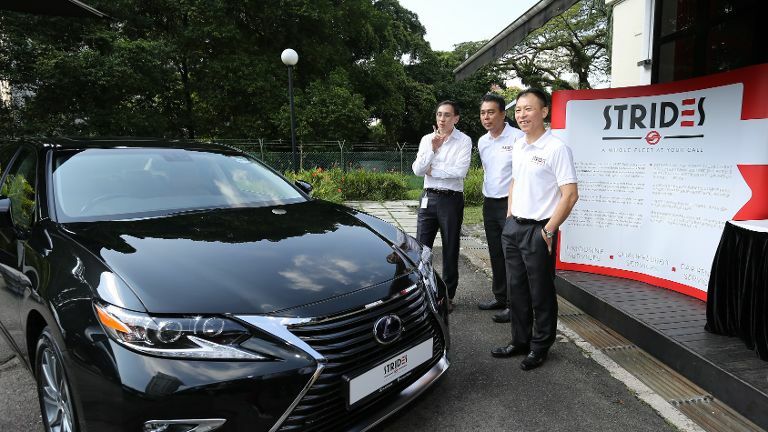 It has even been billed as a “natural progression” to complement their SMRT Taxis. Meet Strides Transportation, a fully owned subsidiary of SMRT. Along with this announcement, they have also signed a yearlong partnership with GrabCar, to allow the public to book their rides through the Grab app. This creates a synergy between the two companies, of which they can leverage on the expertise that each is able to offer. Besides regular rides, Strides will also be offering limousine and chauffeured services for corporate clientele. This agreement will enable 200 Strides drivers to take bookings exclusively from Grab. On top of that, they stand to earn additional earnings through GrabCar performance-related cash incentives. SMRT Taxis’ drivers will be glad to know that they will be able switch over to this new company without any restrictions. 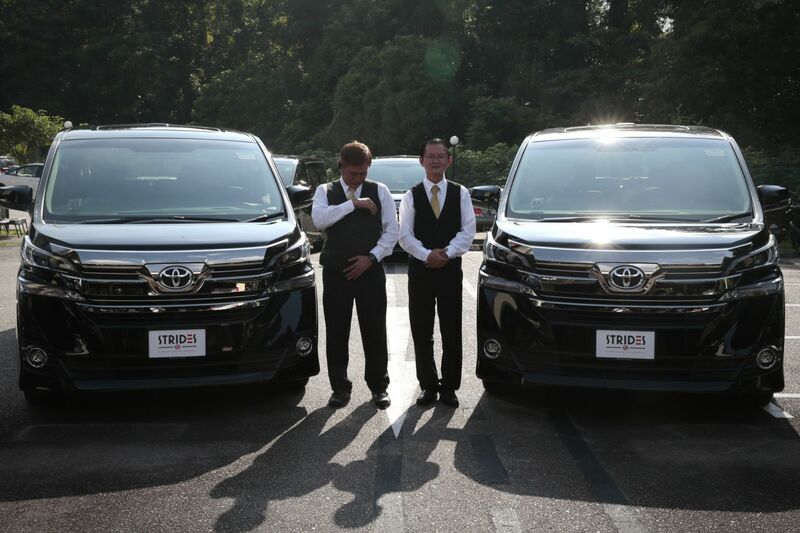 What this means for you and me is that we can expect to see 300 brand new Toyota Altis sedans on the road ready to give us a ride, and 27 Toyota Vellfire 7-seater vehicles and 2 Lexus ES Hybrids for the corporate limousine services, with plans for more vehicle additions in the near future. Mr Benny Lim, Managing Director for SMRT Roads, mentioned that commuters will benefit from SMRT’s experience in fleet and driver management, to ensure that the growing preference for on-demand point-to-point transportation is met efficiently. Drivers will also stand to benefit greatly with a support network behind them, inclusive of drivers’ helpline and training courses.